The good form placement is the key to succes! 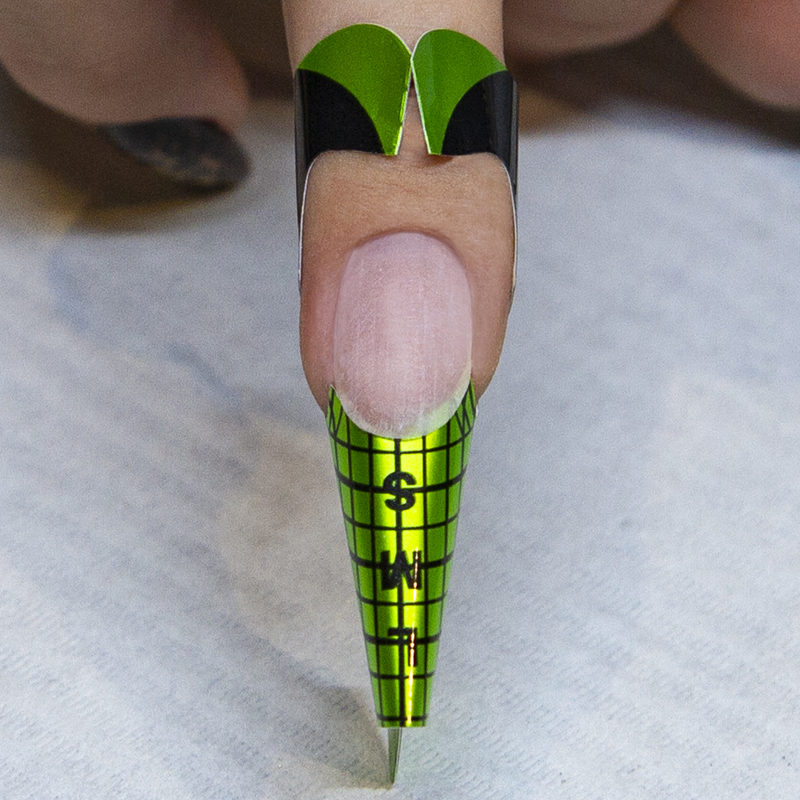 Lately more and more nail technicians are working with nail forms. But placing the form correctly to the hyponychium is harder than it looks. The better the form connects to the hyponychium, the better you can extend the natural nail. The trick is adjusting the nail form so that it will be attached perfectly to the natural nail. Some clients have a deep or long hyponychium, better known as a deep smile line. This makes it difficult to place a nail form to the nail. 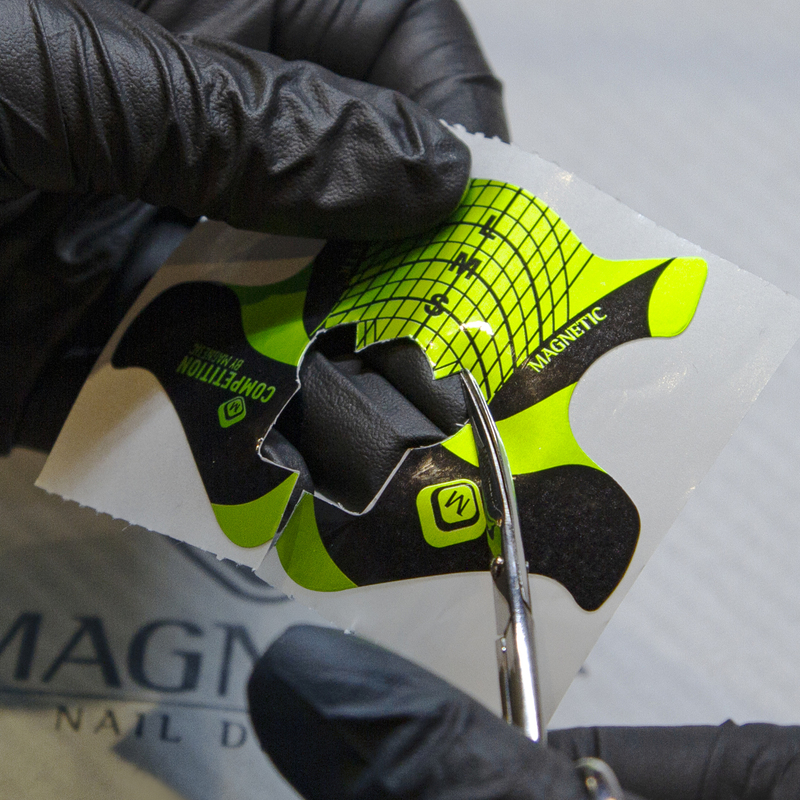 You have to make adjustments to the nail form so it will connect perfectly to the natural nail. 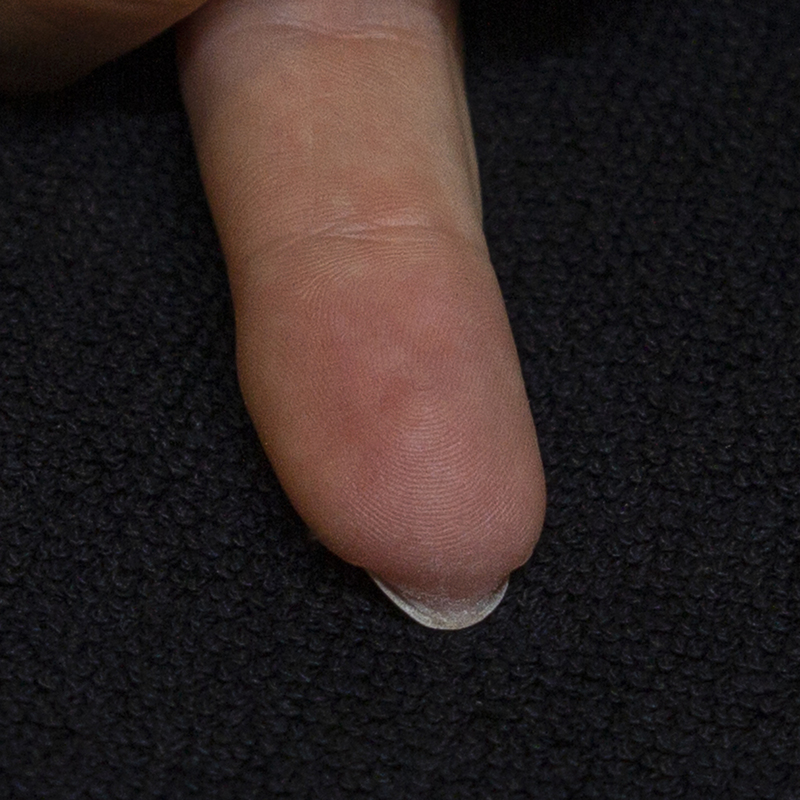 Not only has this model a long hyponychium, the stress points of the nail are also not evenly on each side. The stress points is higher on the right side of the nail. The first adjustment is cutting the smile line of the form. 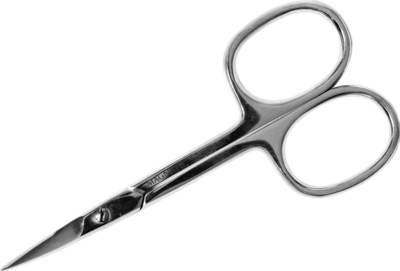 Try to copy the shape of the hyponychium when cutting the form. The hyponychium of this model has a small deviation to the left, keep that in mind. When the smile line of the nail form is cut correctly, try it on to see how many 'ears' of the nail form need to be removed. Use the diagonal lines to measure how much you need to cut away. 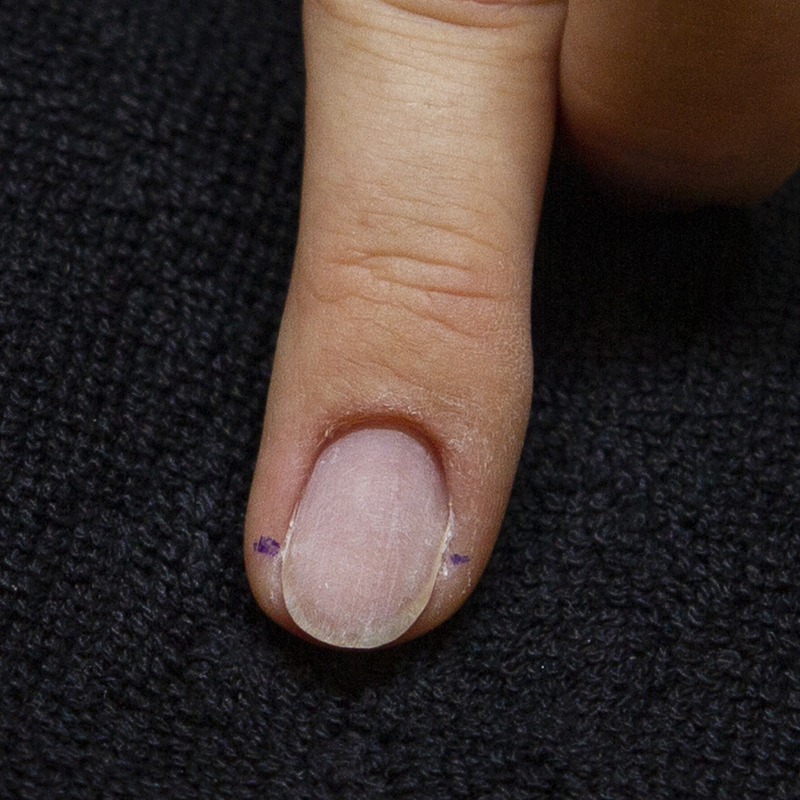 Remember to keep in mind that the stress point on the right side of the nail is higher. With small steps make the adjustments so the nail form will fit to the natural nail. Try the form on regularly when making the adjustments to be sure that it fits perfectly. Only if you are completely satisfied with the attachement of the nail form, you remove the paper and apply the nail form. 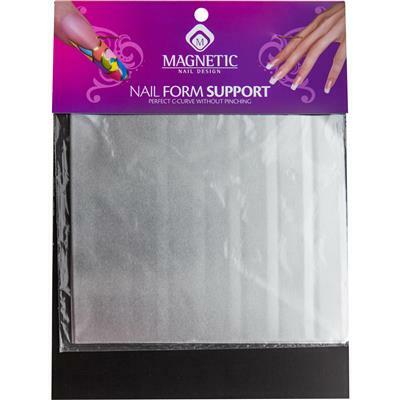 - Leave the nail form on the paper when you are making the adjustments so it will still have its stickiness when you are actually placing the form. - If the nail form needs adjustments, leave a small amount of free edge. Do not file it away comepletely. With this you have a little more room to move the form. - Follow the hyponycium and keep in mind where the stress points of the nail are. - To create more stability during the form placement and making the nail, add Nail Form Support to the bottom of the nail form.